The standard reference work on chess openings for more than half a century, earning the epithet 'the chess player's bible'. 'Batsford's Modern Chess Openings' is the most comprehensive single-volume work on the openings. Covering every standard line of play, it provides the distilled essence of contemporary opening theory. This edition is an indispensable reference work for club and tournament players.International Grandmaster Nick de Firmian is a three-times US Champion and an expert on opening theory. He helped develop computer Deeper Blue's opening repertoire in its match victory over arch-theoretician Gary Kasparov. A standard reference work for the last 50 years, Batsford's Modern Chess Openings is one of the most important chess books around. 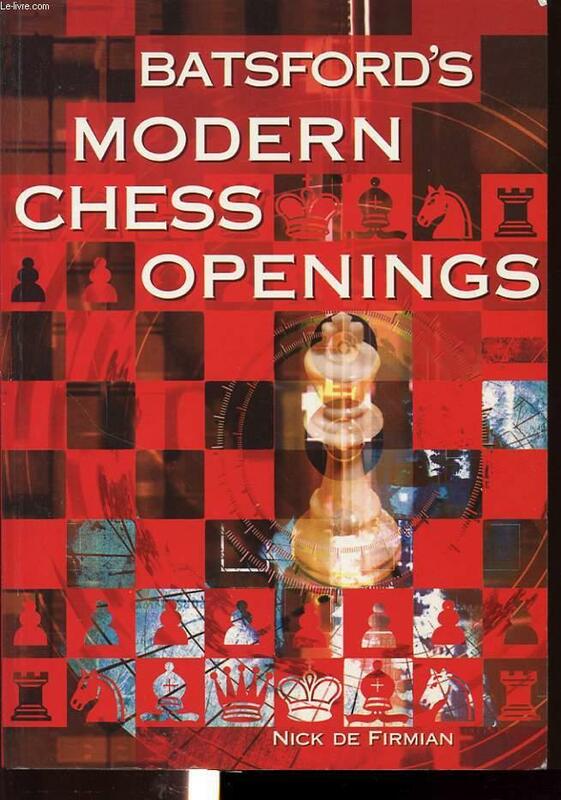 The most comprehensive and up-to-date volume on openings, its 720 pages cover every single chess opening. It provides an indispensible reference work for club and tournament players, earning the epithet 'the chess player's Bible'. Author Grandmaster Nick de Firmian is an expert on opening theory and a three-time US Champion. He helped develop chess computer Deeper Blue's opening repertoire in its match victory over Garry Kasparov.